Want to take a year off? Why not do it while making 6-figures and legally paying zero taxes? Do you feel burned out at work? Do you want to take a sabbatical and travel? Recently I’ve been thinking about how one can take some extended time off while simultaneously using that time to do some very efficient tax planning. Are you curious how you can do the same? All totally legally, too. I’ll link you directly to the IRS rules and an online TurboTax tool where you can verify it all. It’s gonna be a long one, but I promise it’ll be worth it. These criteria mean this strategy probably won’t work well if, say, you just graduated from school or you don’t have much investment savings. 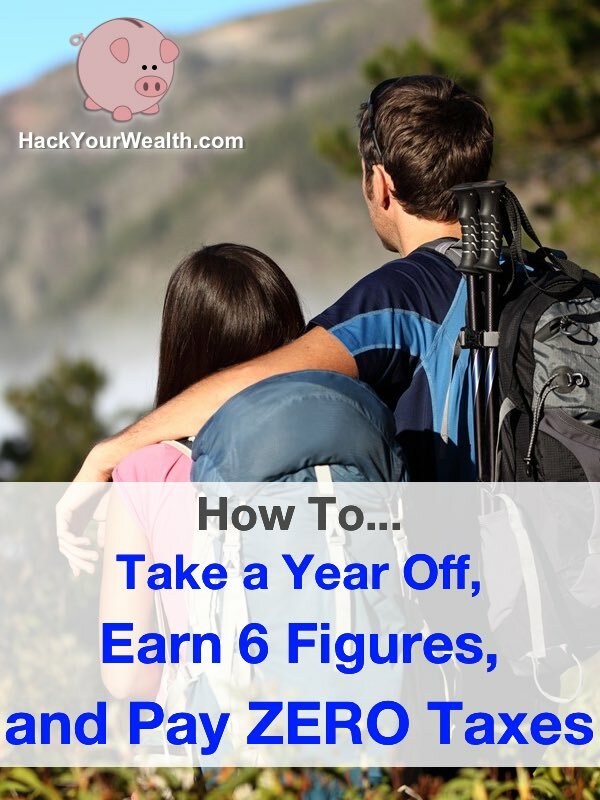 It works best for married couples who have worked and saved and invested for at least a few years, and who now want to take a break or pivot their careers or even just consider retiring early. It also works for single individuals, but the amounts for everything will be half the married couple amounts. Finally, this method works best if you have modest spending levels. If you’re a high-roller with a life of 5-star luxury, then all the more power to you, but today’s strategy probably won’t help you much toward further luxury. Let’s see how the details work! After I explain the steps, we’ll walk through detailed examples to see how it might be put into practice. BONUS: You’ll also get my spreadsheet template to help you verify your zero tax calculation! The IRS generally taxes all worldwide income of U.S. citizens. That means all your wage income, self-employment income, rental property income, ordinary dividends and interest (among many other types) are taxable. So, the reason why a modest spend level is important (and traveling in low-cost countries helps this) is because, unless you have a LOT of savings, a high spend level means you’ll need a high income level to sustain it. The higher your income, the greater the risk you’ll have to pay taxes. Under current tax rules, a married couple can earn up to $20,700 in ordinary income and pay zero taxes (2016 numbers, adjusted annually for inflation). That is because the IRS allows a standard deduction of $12,600 plus two personal exemptions of $4,050 – one for each spouse. You can juice your tax-free income further by applying additional deductions like the $18,000 individual deduction (2016 numbers) for tax-deferred 401k contributions (which you can also do for your spouse). If you are doing a solo 401k, you can deduct even more, but the exact amount will be case specific. Assuming you just do the $18,000 for you and your spouse each, that raises your tax-free income to $56,700. How cool is that? There are other deductions you can pile on to further increase your tax-free income, such as self-employed health insurance payments, health savings account contributions, and student loan interest deductions. But for simplicity we won’t consider those here. All these various “allowances” are usually increased by Congress or by a set inflation schedule every 1-2 years. 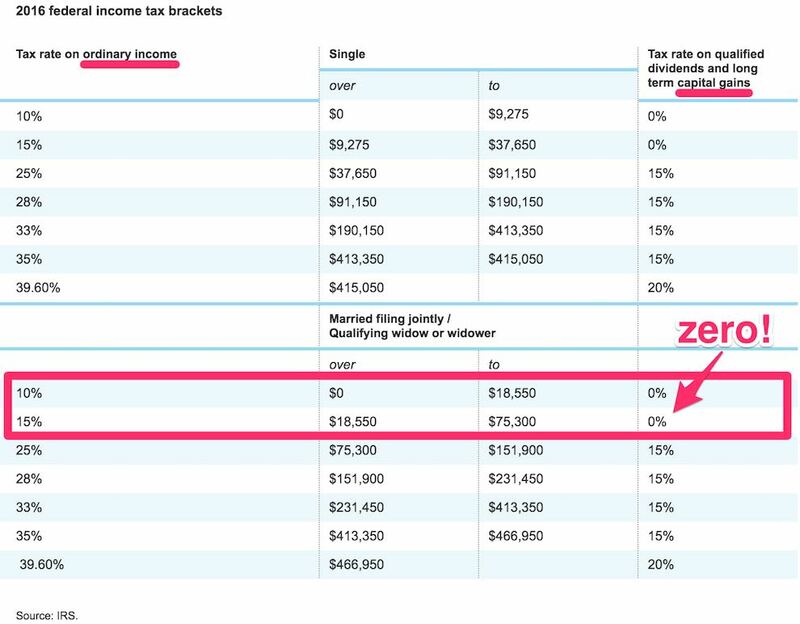 Bottom line: If you keep your US income below $20,700, your tax liability is guaranteed to be zero under the IRS tax tables, because your taxable income (after deductions and exemptions) will also be zero. And you can enjoy even more tax-free income if you take deductions such as 401k contributions. STEP 2: IF YOU ARE LIGHT ON ORDINARY INCOME, DO A ROTH CONVERSION. LIKE, NOW. If you have one or more IRA and 401k accounts, then you probably know you aren’t allowed to withdraw from them until you’re 59.5 years old; otherwise you get slapped with an extra 10% tax penalty. Once you turn 70.5, things get flipped around and you are forced to start taking mandatory distributions from those accounts. On top of that, whenever you withdraw money from these accounts, it gets taxed at ordinary income rates — using the plain old tax tables. That’s because you got a nice tax deduction at the time you contributed to these accounts. The money was able to grow tax-deferred. So later, when you start to withdraw that money after 59.5, Uncle Sam comes knocking on your door again to collect a long-deferred tax bill — on the entire amount. The only upside is you have some control over timing those withdrawals — at least between the ages of 59.5 and 70.5. After that, you’re required to take mandatory distributions, so you lose some of the timing control over your tax liabilities. But you can avoid this by doing Roth Conversions. This is where you take IRA or 401k money, which was tax deductible at the time of contribution, and you move it into a Roth IRA in a way that avoids tax. How do you avoid tax? Normally, when you move money from a tax-deferred account like an IRA or 401k into a Roth, you must pay taxes on the converted amount in order to pay no taxes on it in the future, which is the key feature of a Roth IRA. That’s because you took a tax deduction when you made the initial IRA or 401k contribution. If you’ve decided now that you’d really rather have that money put into a Roth IRA instead, the converted amount is considered ordinary income subject to taxes. However…if your ordinary income already falls short of the $20,700 combined standard deduction and personal exemptions for a married couple filing jointly (half that for single filers), then you can use the shortfall to do a tax-free Roth Conversion. The converted amount is still considered ordinary income, but it gets wiped out by any remaining amount of standard deduction and personal exemptions you have left, up to $20,700. Dollar for dollar, this allows money to pass cleanly through all the way to retirement having never been taxed! Even more awesome: Roth IRAs are not subject to Required Minimum Distributions like IRAs and 401ks are. This makes the Roth IRA one of the most valuable investment vehicles in existence. And it makes this conversion hack a particularly sweet deal. It means that if you have a decent chunk of change locked up in IRAs and 401ks, you can easily capture the full tax-free value of your $20,700 “free pass” during your year off with zero risk of leaving any money on the table. What if you’re not exactly sure how much to convert because you only have an estimate of your expected “free pass” shortfall? You should over-convert to begin with, and then later once the year closes and the exact amount of any shortfall is clear, you can do a partial recharacterization which is essentially a partial reverse-conversion. There are no penalties for doing this. This works because you automatically get until October 15 to do any recharacterizations. Which is well after the December 31 prior year close when you would know for sure what your ordinary income for the year was. You end up with a fully optimized Roth Conversion, down to the last dollar. Bottom line: If you have tax-deferred funds in an IRA or 401k and your ordinary income is low enough that you haven’t used up all your deductions and exemptions to wipe out taxable income, consider doing a Roth Conversion to take advantage of any ordinary income “shortfall.” You can overestimate the conversion first and then recharacterize any surplus dollars to make sure you fully optimize your Roth down to the last dollar. 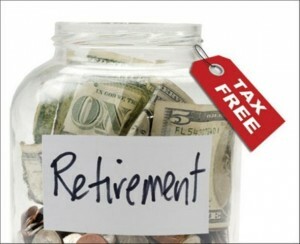 All money converted in this way goes straight toward your retirement and will never be taxed! OK, on top of the magnificent tax-free ordinary income gift and Roth Conversion we just got, there’s more tax-free goodness we can enjoy with our investment income. As long as you remain at or below the 15% marginal tax bracket, you can zero out your tax liability on qualified dividends and long-term capital gains. This is where the criteria I mentioned at the beginning of this post comes into play. To implement this strategy, you will need a sizeable amount of qualified dividends and / or capital gains accrued in your regular investment account that you can take advantage of by the time you file your taxes. This capital gain must be in your regular taxable investment account, not your IRA or 401k. 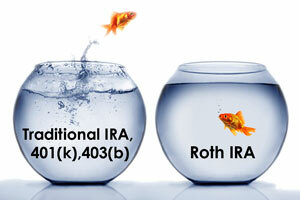 Your IRA and 401k are used for Roth Conversions, as explained above. The stocks in them cannot get a tax basis step-up per se, because the money initially used to fund those accounts was already tax deductible. So the stocks within them essentially have no tax basis. Everything gets taxed at ordinary rates at the time of withdrawal. However, for your regular investment account holdings, you can get a nice tax-free step-up in basis if your taxable income falls into either the 10% or 15% ordinary tax brackets. The rationale is, once your income exceeds $20,700 (assuming no extra deductions like 401k contributions), you must start paying taxes, because that is when your post-deduction taxable income starts to exceed zero. UNLESS…your excess income beyond $20,700 consists of qualified dividends or long-term capital gains. In that case, you will pay zero tax on that income as long as you fall in the 10% or 15% ordinary income tax bracket. We’ll call this harvesting long-term capital gains. You can think of it as selling stock that has increased in value and then immediately purchasing the stock back. Normally, when you sell stock that has increased in value, you will owe taxes on the gains. For stocks held longer than 1 year, you will owe taxes on long-term capital gains. However, if you’re in the 10% or 15% marginal tax bracket, your long-term capital gains (up to $75,300) are taxed at 0%. Then they become part of the basis in your repurchased stock. Since the gain has been locked into the basis, it is tax-free forever. It now also increases the beneficial possibility that you may have capital losses you can claim in the future to offset capital gains or even ordinary income. More about that in our example below. As you can see, for a married couple filing jointly, if you are in the 10% or 15% tax brackets, you can claim up to $75,300 in qualified dividends and long-term capital gains tax-free! So, you can earn $20,700 (or more) tax-free by using deductions to wipe it out. Your taxable income will be zero. Then you can sell some stock to lock in $75,300 of long-term capital gain, and then immediately buy the stock back to get a tax-free step-up in basis. This step-up in basis creates some artificial income. This income will get inputted onto your tax return, but it actually just comes from creating a documented financial transaction where you move your money around. There is no actual cash income to you on that day. So your immediate wealth does not increase, but because you’re “liberating” some of your stock from future taxes by increasing their tax basis, this technique will help you build long-term wealth because those gains become tax-free forever. Today, though, you’ll get taxed on the $75,300…at a rate of exactly 0%. So at a minimum, you can earn $96,000 and pay zero taxes! That’s $20,700 that gets wiped out with deductions and $75,300 in long-term capital gains that gets taxed at 0%. In the example I’ll walk you through below, I’ll show you how this amount can be even higher and STILL result in zero taxes. If you’re interested in the policy underpinnings of this, the 0% long-term capital gains rate was birthed by the Jobs Growth and Tax Relief Reconciliation Act of 2003, also known as the Bush tax cuts, which was scheduled to expire at the end of 2010, but was extended two more years under the “fiscal cliff” legislation (Tax Relief, Unemployment Insurance Reauthorization, and Job Creation Act of 2010), and then ultimately made permanent as a part of the Taxpayer Relief Act of 2012. One, remember that investments must be held for at least 1 year to receive the favorable long-term capital gains tax treatment that has a 0% bracket for earners in the 10% or 15% ordinary tax brackets. Stocks held for less than 1 year get short-term capital gains treatment, which is taxed at ordinary income rates. Qualified dividends must comply with special IRS rules to receive the same favorable long-term capital gains tax treatment. 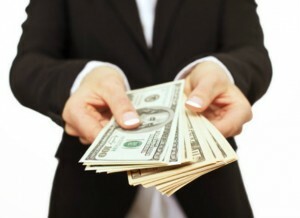 Two, while there are special rules for “wash sales” that you have to pay attention to when you sell an investment at a capital loss (basically you are restricted on what you can buy immediately after selling a losing stock position), wash sale rules do not apply when you sell stock for a gain. So you can immediately buy the same stock again after selling it to lock in your basis, pay your taxes (at that dreamy 0% rate), and then get a nice tax-free step-up in basis! Bottom line: If your total income from all sources remains at or below the 15% tax bracket, then you can get a 0% tax rate on qualified dividends and long-term capital gains up to $75,300. The 0% long-term capital gains rate is actually just one of the three tax brackets that apply to long-term capital gains (the others being 15% and 20%). Which rate is applicable is determined simply by the ordinary income tax bracket you fall into. How much should I convert to a Roth vs. stepping up my stock basis? If you have “space” to do both, how much should you allocate to doing a Roth Conversion vs. harvesting long-term capital gains via a tax-free step-up in basis? The Roth IRA by far has the best tax profile, so you should always optimize for that first before using any remaining allowance to step up your stock basis. Money converted into a Roth is tax-free for life. You can invest that Roth money and watch the gains increase to infinity and all of it cannot be taxed when it is withdrawn. However, a step-up in stock basis is limited. If the stock increases again in the future, you’ll need to step up the basis again to avoid taxes on it. Let’s walk through some examples with visual charts to show how the tax implications shake out under various scenarios, and how we can completely zero out our tax liability if we plan carefully. Before we do that, though, let’s start with a “pre-example” to get a sense of how taxes are assessed in the general case — before any special tax strategies are considered. Let’s say my wife and I together earn $100,000 over the tax year. We also convert $20,000 from our 401ks into our Roth IRA. And we sell some stock that harvests $80,000 of long-term capital gains. We have no other income during the year. For our adjustments and deductions, we adjust $18,000 each for maxing out both our 401ks. We also take the standard deduction for married couples of $12,600, and two personal exemptions of $4,050 each (total $8,100), as permitted by the 2016 IRS tax tables. So in this scenario, we have $120,000 of ordinary income, $80,000 of qualified dividends and long-term capital gains income, $36,000 of adjustments (our 401ks), and $20,700 of deductions. Our taxable ordinary income for the year is $63,300 ($120,000 – $36,000 – $20,700). Our taxable long-term capital gains are $80,000. But! Only $68,000 of that will actually get taxed because $12,000 sits in the 0% long-term capital gains bracket. Why? Because our taxable ordinary income is only $63,300, which is $12,000 short of the magical $75,300 ceiling which defines the 0% zone for long-term capital gains taxes. So we actually only pay $10,200 in taxes on our $80,000 of long-term capital gains. We compute that $10,200 by multiplying $68,000 by 15%. So our total tax liability for the year is $18,768 ($8,568 + $10,200), and our “booked” take home pay is $181,232 ($100,000 + $20,000 + $80,000 – $18,768). However, note that our “cash” take home pay is $161,232 because the $20,000 Roth Conversion isn’t really income in the sense that we already own that money; we just recognize that as income because we decided to artificially move that money from one account to another. All right, with our pre-example showing how taxes are assessed in the general case, let’s now see how we can zero out our taxes entirely. We’ll call our first example the “simple” case — because there are no special circumstances needed to get 0% tax treatment on the income involved, and it represents the minimum pretty much anyone can get tax-free. So, let’s say my wife and I decide to take a year off and travel the world starting January 1. We spend the entire year abroad, except the months of November and December, funding our travels only from our savings. We return home on November 1 to visit family, celebrate Thanksgiving and Christmas, and just relax through the end of the year. We earn no ordinary income for the first 10 months, but when we come home in November we do a little bit of consulting work and earn $10,000. Since we still have wiggle room before reaching $20,700, we decide to do a Roth Conversion from a 401k for $10,700. Our standard deduction and 2 personal exemptions wipe out all this income, making our taxable income zero. We have no qualified dividends, but on December 30, we sell a bunch of stock containing $75,300 of long-term capital gains. This entire amount is taxed at 0%. We then immediately repurchase the same stock (no wash sale violation) which locks in my new higher tax basis forever. Future taxes on capital gains will now be less due to my permanently higher basis, and the possibility of experiencing a capital loss that I can then use to offset other capital gains (or up to $3,000 annually of ordinary income) also increases, which is awesome! All in all, a nice outcome. We earned $10,000 in consulting fees, did a $10,700 Roth Conversion, and got a permanent step-up in tax basis of $75,300 in stock — and we paid exactly zero taxes for it all. Total income: $96,000. Total taxes: $0. With some additional complexity, we’ll see that we can book even higher income while enjoying the same $0 tax liability. Let’s see how it works. Let’s say my wife and I decide to take a year off and travel the world starting January 1. We spend the entire year abroad, except the last 2 weeks of December, when we return home to celebrate Christmas with family. That means we remain abroad for more than 330 days of the year (more later about why that is significant). We start our travels in Australia, which happens to have a nice tax treaty with the U.S.
We stay in Australia for 3 months, traveling most days, but doing some online freelancing work in various locations when we have downtime. Our freelancing gigs during these 3 months generate $48,700 — nice! Along the way, we also decide to do a 401k-to-Roth Conversion in the amount of $15,000. We also have stock investments and, just like in the previous example, toward the end of the year on December 30 we sell a bunch of stock containing $75,300 of long-term capital gains. So, how do we figure our tax liability in this case? First let’s look at our earned income. Our tax treaty with Australia says that income received in a self-employment capacity (Independent Personal Services) is only taxable in Australia if we stay there more than 183 days in the year OR we have a fixed base regularly available to us for the purpose of performing our job activities. In this case, neither is true. We leave the country after 90 days, and we do our online freelancing work wherever we happen to be in our travels. So Australia taxes this income $0. Then we shift our analysis to the U.S.
Our gross income is $48,700 of wage income + $15,000 from the Roth Conversion. Total: $63,700. Remember, the Roth Conversion is taxed at ordinary rates because it was earned income at the time of the initial 401k contribution. Now, to determine our taxable income, we first make our adjusted gross income adjustments. We then make another adjustment of $4,000 for our combined high-deductible health insurance plan premiums for the year. That leaves $23,700. We then make an adjustment of $3,000 for money we put into our HSA (Health Savings Account), which we use for routine medical expenses before our high-deductible health coverage kicks in. That leaves $20,700, which is our adjusted gross income. We then apply the standard deduction of $12,600 plus our two personal exemptions of $4,050 each to wipe out the remaining $20,700 of ordinary income. That leaves taxable income of…you guessed it, zero. Now we look at the $75,300 in long-term capital gains on our stock. Just like in the previous example, we sell the stock to lock in our $75,300 gain, and then we immediately repurchase the same stock (no wash sale violation) to lock in the new higher tax basis forever. And just like the previous example, future taxes on capital gains for the stock will now be less due to the permanently higher basis. We also increase the chance that we’ll experience a capital loss which can, in turn, be used to offset other capital gains or income. This is an even better outcome. We earned $48,700 of wages, $15,000 from the Roth Conversion, and we got a permanent step-up in tax basis of $75,300 in stock — and we paid exactly zero taxes on it all. The amazing thing is, this still isn’t even the maximum one can earn tax free, because there are still other kinds of AGI adjustments we didn’t consider here, such as the student loan interest adjustment, adjustment for moving expenses, or tuition and fees adjustment (who knows, maybe I decide to enroll in an online degree program while traveling abroad, and I take out a loan to pay the tuition and fees). I’m not covering those here because those are case-specific scenarios that won’t apply to everyone. However, the need for health insurance as well as HSA contributions are reasonably likely expenses you’d incur during a year off, so I’m showing you how to make permissible adjustments for them in your tax computation to reduce taxable income — to zero. Total income: $139,000. Total taxes: $0. Our examples above show how you can earn over 6 figures and owe zero taxes. What if I’m just out of school, don’t have much in savings let alone capital gains, but still want to take a gap year and pay no taxes on income I earn over the year? 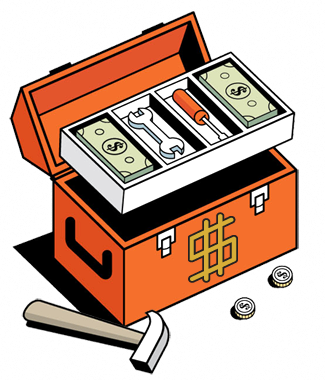 You can avoid taxes on earned income even if you have no investments to harvest capital gains or do a Roth Conversion. The key is to spend your year off traveling abroad. Sounds pretty sweet — heck, with a year to explore, my bucket list would get reeaaaaal long! The reason why that’s key is because it turns out that if you stay abroad for at least 330 days (does not have to be consecutive days) over a consecutive 12-month period, you can claim the Foreign Earned Income Exclusion. The Foreign Earned Income Exclusion is a WONDERFUL thing. This magical rule lets you completely exclude from U.S. taxes up to $101,300 of foreign earnings for an individual, or $202,600 if married filing jointly (2016 number, adjusted annually for inflation). I said, you can completely exclude from taxes up to $202,600. Only “earned income” abroad qualifies for this. What is “earned income” for these purposes? 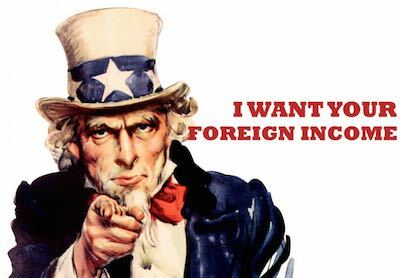 So, if you earn some cash freelancing or teaching English while traveling abroad, how can you be sure that the income qualifies as “foreign earnings”? The source of your earned income is the place where you perform the services for which you received the income. Foreign earned income is income you receive for performing personal services in a foreign country. Where or how you are paid has no effect on the source of the income. For example, income you receive for work done in France is income from a foreign source even if the income is paid directly to your bank account in the United States and your employer is located in New York City. One caveat: Remember that just because you are off the hook for U.S. taxes on your first $202,600 of income doesn’t mean you are off the hook for foreign taxes in the country you’re in. You might owe taxes to local government authorities. However, also keep in mind that, even if you pay local taxes to a foreign government, you will get relief from Uncle Sam in the form of a Foreign Tax Credit IF you also end up owing U.S. taxes. So, you will never have to pay taxes twice, because you’ll always get credit from the tax man that exactly offsets whatever taxes you paid to a foreign government. See a useful example here. By contrast, if you earn LESS than $202,600, you’re out of luck: while you technically still get a Foreign Tax Credit, there’s unfortunately nothing to offset it against because your income is already completely excluded from U.S. taxes anyway. So, where the sweet spot comes in is: Many countries have tax treaties with the U.S. that exempt U.S. citizens from foreign taxes in certain situations. Depending on how you earned your foreign income and what country you were in when you earned that money, it’s possible to be exempt from foreign taxes (under existing tax treaty) AND also exempt from U.S. taxes (under the Foreign Earned Income Exclusion). Is this much happiness allowed? Bottom line: While the tax tables tell us you can earn $20,700 tax-free (excluding AGI adjustments), the Foreign Earned Income Exclusion lets you earn much more tax-free: up to a max of $101,300 for individuals and $202,600 for married couples filing jointly. Can you combine the Foreign Earned Income Exclusion with other awesome techniques described earlier? Generally no. The Foreign Earned Income Exclusion does not play nice with income from long-term capital gains because the 0% long-term capital gains tax rate only applies when total income from ALL sources combined remains at or below the 15% tax bracket. By contrast, with the Foreign Earned Income Exclusion, you’re allowed to exclude from taxable income an amount that COULD have been taxed at the 28% marginal rate — $101,300 for individuals and $202,600 for couples. So, if you really do have that much shielded by the Foreign Earned Income Exclusion, then each additional dollar of earned income above that gets taxed in full force at the ordinary tax rate of 28%. If the dollars exceeding the $202,600 exclusion ceiling consist of harvested long-term capital gains, then the taxes you’ll owe will be based on the long-term capital gains tax rate that WOULD have applied had you NOT claimed the Foreign Earned Income Exclusion. In other words, the Foreign Earned Income Exclusion does not raise the 0% tax ceiling up to $101,300 for singles or $202,600 for couples. Also important to keep in mind is that the Foreign Earned Income Exclusion only applies to EARNED income, not long-term capital gains. Capital gains are NOT considered earned income. So, no matter what, capital gains will be taxed outside the Foreign Earned Income Exclusion shelter. Which means, even if your earned income falls far short of the exclusion cap, you could still owe 15% taxes on your capital gains. The way your capital gains tax liability will be calculated in this case is the same as the way it would be calculated if you busted the Foreign Earned Income Exclusion ceiling. Using the stacking rule, it is computed as: “whatever total taxes you would have paid WITHOUT the Foreign Earned Income Exclusion” MINUS “whatever taxes you would have paid ON the earned income excluded by the Foreign Earned Income Exclusion.” We’ll walk through an example of this in a moment. Bottom line: Even if you don’t have a way (or don’t want) to take advantage of a tax-free Roth Conversion or a tax-free step-up in stock basis to harvest long-term capital gains, you can still earn a very significant amount of earned income tax-free through the Foreign Earned Income Exclusion by living abroad for at least 330 days of the year. You can earn up to $101,300 for individuals and $202,600 for couples tax-free, and you may even be exempt from foreign taxes, too, if the country where you earn the income has a tax treaty exemption you qualify for. Check the specific tax treaty for your destination country for details. Our first example just considers earned income, nothing else. Similar to the last example, let’s say my wife and I decide to take a year off and travel the world starting January 1. We spend the entire year abroad, except the last 2 weeks of December, when we return home to celebrate Christmas with family. So we remain abroad for more than 330 days of the year. Like before, we start our travels in Australia, which has a nice tax treaty with the U.S.
We stay in Australia for 180 days, traveling most of the time, but freelancing in various locations along the way. We then spend a few months traveling the great outdoors in Canada, and also freelance in various locations along the way. We then travel our last couple months in Asia before returning home. During our Australia and Canada travels, our freelance work brings in a whopping $300,000 — who wouldn’t freelance for that kind of dough, eh? In Asia, we don’t freelance; we just travel. Because we satisfy the tax exemptions for freelance work provided by Australia’s and Canada’s tax treaties with the U.S., we’ll owe no taxes to those foreign governments on any of our freelance income. Nice! Now we shift to the U.S. tax system. What do we owe here? Step 1. Calculate the tax on taxable income WITHOUT taking FEIE into account. Step 2. 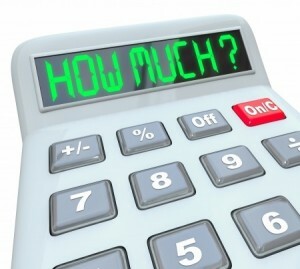 Calculate the tax you WOULD have owed on your foreign earned income BUT FOR the exclusion. Important: do not make any adjustments or deductions to your foreign earned income; you must treat GROSS foreign earned income as if it’s TAXABLE income. Step 3. Calculate the difference between the two amounts. That is your tax liability. So with this in mind, what taxes would we owe WITHOUT taking the Foreign Earned Income Exclusion into account? Similar to our previous example, we need to determine our taxable income first, so we first make our adjusted gross income adjustments. As before, since my wife and I both have solo 401ks, we max those out and take our adjustment of $18,000 each, total $36,000. That leaves $264,000. We then make another adjustment of $4,000 for our combined high-deductible health insurance plan premiums for the year. That leaves $260,000. We then apply the standard deduction of $12,600 plus our two personal exemptions of $4,050 each to wipe out $20,700 of ordinary income. That leaves taxable income of $236,300. When we look at the tax tables, we find that for $236,300 of taxable income, the tax liability is $53,392. But this is all BEFORE the Foreign Earned Income Exclusion. What taxes would we owe only ON the part excluded by FEIE? FEIE lets us shelter $202,600 as a married couple filing jointly. Since we don’t make any adjustments or deductions and simply treat foreign earned income as taxable income, our tax liability on $202,600 is simply $43,713.50 under the tax tables. So to compute our final taxes owed to the IRS, we just take the first number ($53,392) and subtract the second number ($43,713.50). That leaves a final tax liability of $9,678.50, which is what we ultimately pay to the IRS. While we didn’t completely zero out our taxes, FEIE saved us $43,713.50. Pretty sweet! Of course, had our taxable earned income been $202,600 or less, we would have owed exactly $0 in taxes. One strategy that becomes apparent is that, if you are abroad for multiple years, and your income stream is “lumpy,” you might be able to influence the timing of your income payments to stay under the $202,600 exclusion limit each year. Our second example considers both earned income AND other bells and whistles, like a Roth Conversion and long-term capital gains. Same as before: we travel to Australia first for 180 days, freelancing along the way; then we travel in Canada for a few months, freelancing along the way; finally we travel a couple months in Asia before returning home. But this time, during our Australia and Canada travels, our freelance work only brings in a total of $150,000. Womp womp. While in Australia, we also convert $15,000 from an old 401k into a Roth, so we recognize that as ordinary income. While in Australia, we also sell (and immediately buy back) a bunch of stock containing $75,300 of long-term capital gains. So total income is now $240,300, but earned income is only $165,000 and our $75,300 of long-term capital gains is not considered earned income. We still satisfy Australia’s and Canada’s tax treaty exemptions for freelance work, so we owe no taxes to those governments. Win. Now we shift to the U.S. — what do we owe here? What taxes do we owe WITHOUT the Foreign Earned Income Exclusion? 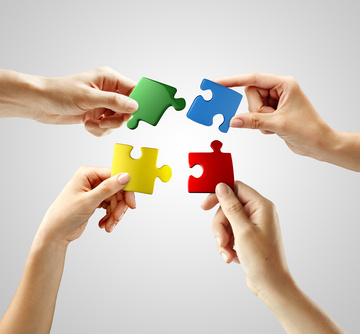 As before, we determine taxable income by making AGI adjustments first. However, unlike before, let’s pretend in this example that we don’t contribute anything to 401ks. We only make a small adjustment of $4,000 for our health insurance premiums. That leaves $161,000. We then make an adjustment of $3,000 for our HSA. That leaves $158,000, which is our adjusted gross income. We then apply the standard deduction of $12,600 plus two personal exemptions of $4,050 each to wipe out $20,700. That leaves taxable income of $137,300. The tax liability for $137,300 of taxable income is $25,867.50. Then we evaluate our $75,300 of long-term capital gains. With taxable income of $137,300, we are in the 25% tax bracket, which means we don’t get 0% capital gains tax treatment. Our capital gains tax rate will be 15%. So on $75,300 of capital gains, we’ll owe $11,295 in capital gains taxes. That means our all-up tax liability is $25,867.50 + $11,295 = $37,162.50. But remember, this is BEFORE the Foreign Earned Income Exclusion, which lets us shelter our foreign earned income, up to a max of $202,600. We have $240,300 in total income, but only $165,000 is EARNED income, so that’s the only part that can be excluded by FEIE. The $75,300 in harvested capital gains is not earned income and therefore cannot be excluded. With FEIE, our tax liability excluded on $165,000 is $33,185.50. So, in the end, FEIE shielded all our ordinary taxes (and more). But it did not shield all our long-term capital gains taxes. We’re still on the hook to pay $3,977. Since capital gains are not shielded by FEIE, that means even if your foreign earned income falls short of the FEIE cap, you still might not be able to harvest capital gains tax-free. As shown in the tables above, to get the full $75,300 of capital gains tax-free, taxable income must be zero — that’s the key. The only way that can be accomplished is through AGI adjustments and the standard deduction plus personal exemptions wiping out all other income to make taxable income zero. Bottom line: The Foreign Earned Income Exclusion is useful for reducing taxes on earned income, less so for harvesting long-term capital gains / qualified dividends tax-efficiently. There isn’t a good way to combine the two strategies. Whew! This was a big post. But hopefully you learned some cool strategies and tactics for planning your taxes efficiently, seeing how you can take a year off and travel the world, AND paying $0 taxes to boot! If you’re curious about seeing what the tax implications might be for different income scenarios, TurboTax has a nifty little online app called TaxCaster that you can use to simulate your income and see the tax liability. You can see how each incremental dollar of income changes your tax bill. Way cool. What are your favorite tax tips and strategies? Please share your thoughts in the comments below! For those willing to take more than a year off, I see this as a viable strategy. You need to basically ensure that you are unemployed the full calendar year, from January to December. For most people, if you want to plan a career break for about a year or less, it may not be possible to have the flexibility to dictate exactly when your career break would begin and end. Hey Harry, just curious why you feel it might not be possible to control the dates of taking a year off to ensure being unemployed during the full calendar year? An employee presumably can decide when to stop working, e.g., 12/31 and can at least decide when to start looking for a new gig (e.g., 1/1 of the year after), even if they cannot control the exact start date an employer wants them to report to work by after being extended a new job offer. To be sure, sometimes year-end bonuses get paid out the following year, which can disrupt timing, but these things can be negotiable. There is also some flexibility to shield income that gets paid in the new year by simply putting it in a pre-tax 401k, HSA, or other tax-deferred/tax-free vehicles. Hi Andrew! This article is great! I recently moved abroad and will definitely be reviewing it again when it comes tax time for 2018. All the other tools on your site will also come in very handy. One thing though, I think I may have discovered a mistake. Who knows, with tax law, it may be more of a different interpretation. Anyway, I wanted to run it by you and see what you thought. My understanding of this code is that the stacking rule only applies to your “taxable income” after all itemized deductions take place. In other words, when calculating the amount of tax to exclude, you assume the $202,600 is fully taxable and not like the AGI which is then reduced by deductions and exemptions (exemptions in 2017, no more exemptions beginning in 2018). For example, married filing jointly using your first example, the couple earned $250,000. Assuming no FEIE, they had $43,000 in adjustments and a resulting AGI of $207,000 less $20,700 in deductions and exemptions for a resulting taxable income of $186,300 with a resultant tax bill of $39,150. 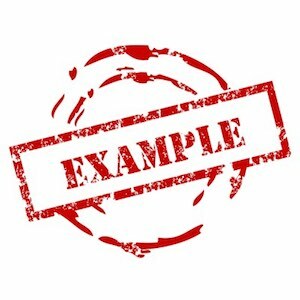 Your example then calculates tax owed on the excluded $203,000 as if it were total income: $203,000 less $43,000 in adjustments for 401k, Insurance premiums, and HSA = $160,000 AGI less $20,700 standard deduction and exemptions for a taxable income of $139,300. The tax bill on $139,300 was $26,268. So then the difference would be $12,882 that would be paid to the IRS. I believe that the income that is to be exempted is supposed to be considered “taxable income” and doesn’t need to be reduced by adjustments and deductions prior to calculating the exludable tax amount. A taxable income of $202,600 would have a tax bill of $43,612.50 for 2017. So under your example, I calculate that they would have $0 tax liability and would have “wasted” $16,300 of tax free income space ($202,600 – $186,300). They could have then done a $16,300 Roth IRA conversion to take full advantage of this tax minimization strategy. In other words, the $186,300 of taxable income is where the income excluded using the FEIE should be taken from. Just curious what your thoughts are here? Thanks! Kevin, the quotes in that particular example were used to make the sentence simply easier to read – they weren’t quoting a source. The stacking rule uses a gross earned income number, e.g., $202,600. BUT to calculate your ACTUAL tax liability (and therefore your actual FEIE), you have factor in your adjustments and deductions. That’s bc everyone’s situation is different: some people earning $202,600 gross earned income have different tax liability than others earning the exact same amount of gross earned income. One’s exact tax liability, and therefore exact FEIE, is individual-specific even though it may be based on the same gross earned income amount of $202,600. That is why I said: tax liability is computed as: “whatever total taxes you would have paid WITHOUT the Foreign Earned Income Exclusion” MINUS “whatever taxes you would have paid ON the earned income excluded by the Foreign Earned Income Exclusion.” It’s what YOU would have paid, and that depends on YOUR actual adjustments and deductions, which is why you have to factor them in. So again, the stacking rule uses a gross earned income number, but to compute your actual tax liability you must calculate your adjustments/deductions. You cannot fill any “wasted” FEIE by doing a Roth conversion bc that is not “earned income.” FEIE only applies to earned income. Yes, a Roth conversion isn’t earned income, but my understanding is that I’m not excluding it with the FEIE, but instead offsetting it with the standard deduction and personal exemptions. According to IRC Section 911(f)(1)(A), the stacking rule applies to TAXABLE income and not the AGI. Say someone makes $50,000/year AGI. They are able to exclude all $50,000 using the FEIE, and have a resultant AGI of $0. For 2017, you have a married filing jointly standard deduction of $12,700 and personal exemptions of $8,100 which results in a -$20,800 taxable income. This means you could have earned $20,800 from some other source of income, such as rental income, capital gains, or a Roth IRA conversion, and still ended up with a $0 taxable income. But if you did a $30,000 Roth conversion, then $9,200 would have been taxable ($30k less $20,000 in deductions and exemptions). But you’d have to pay tax as if it were the taxable income from $50,001 to $59,200 using IRS’s tax tables. The Foreign Earned Income Tax Worksheet for Line 44 of the 1040 calculates the difference in tax owed between [Line 43 (taxable income) on the 1040 + FEIE income (again using the tax tables)] and [FEIE income (using tax tables)]. No where can I find where it does two full AGI tax calcs and then takes the difference. I didn’t say the stacking rule applies to AGI. Let me try this another way. FEIE thresholds refer to gross earned income earned abroad. But when it comes to computing your ACTUAL tax liability, that’s when you use the stacking rule. The “whatever total taxes you would have paid” part = your tax liability. Nowhere in the article or my comment does it say tax liability is calculated on AGI; tax liability is, by definition, calculated from taxable income. I think what may be tripping you up re: the Roth conversion is, you’re attempting to do it in 2 sequential steps: first use FEIE to achieve $0 tax liability, THEN use Roth conversions to fill up to the standard deduction / personal exemptions limit. In other words, drain it down to $0 and then fill it back up again. But that’s not how the IRS will let you do it. The IRS makes you add up everything at the same time AS IF there was no FEIE. And THEN subtract the FEIE portion. That’s what you were referring to re: Line 44 calculating the difference in tax owed on Line 43 taxable income + FEIE income vs. tax owed on FEIE income only. You don’t get to use FEIE to drain down to $0 first. You calculate tax liability (including Roth conversions) “standing on top” of FEI, and then once you know that tax liability number, you then “slice off” the tax liability owed on FEI to determine your actual taxes owed. I agree with what you say 100% less a few things based on semantics. Where I’m getting hung up is on how you calculate “tax owed on FEIE income only”. Your example says “On just $202,600 of income, by applying the exact same adjustments and deductions, our tax liability is $26,268:” You’ve taken the $202,600 allowable FEIE as if it were an gross income, then adjusted it to get a lower AGI, and then taken deductions from it to come up with a lower TAXABLE income. Which you then calculate a tax liability on: $26,268. I’m saying you are supposed to consider the entire FEIE portion ($202,600) as TAXABLE income which would have a tax liability of $43,612.50. This appears to be what is happening when you use the Foreign Earned Income Tax Worksheet for Line 44 of the 1040. Am I reading the form wrong? Well shoot. You’re correct. FEIE is computed with no further adjustments or deductions taken into account, as if the FEIE number = taxable income. Thanks for catching that! I’ll update the post. Awesome! To good to be true is finally, well….true!!! Great Blog. Are you planning to update the spreadsheet (verify zero tax calculation) with the new Trump’s tax rates for year 2018? Yes, eventually. Will wait for the tax legislation to be officially signed into law (any day now), and then will go back and update a lot of these spreadsheets (which will take some time though)! Great Post. I learned lot of new things which I can implement it. Thank you for making my life better. I plan to take a year off. This is fantastic! I haven’t seen such a detailed and comprehensive life plan laid out so well before. Great content!